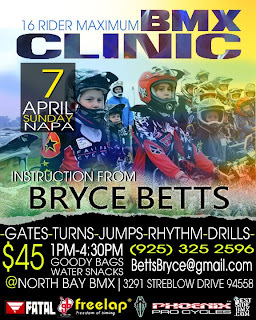 WestSideBMX.com: Bryce Betts clinic 4/7. If you need help before Oregon or just want to work on your skills, check this out. Bryce Betts clinic in Napa.